Students in Hunterdon Central’s Life Skills class learn a variety of skills by hosting a monthly luncheon for senior citizens. The students, who range in age from 18-21, begin planning early for the Saturday luncheon, held at a local church. Students choose dishes to prepare, find recipes and create shopping lists, and call the local bus service, Hunterdon County Link, to arrange transportation to the grocery store. The week of each luncheon, students prepare the dishes; wash, iron and fold tablecloths; and contact guests to remind them of the upcoming event. Students also maintain a spreadsheet of senior citizen attendees, and on the day of the luncheon, they greet the seniors, manage the buffet meal, and mingle with guests. In addition to the food, students bring a gift for the luncheon attendees, usually in the form of some type of favor the seniors can take home. One example is a “hot chocolate cone,” which includes everything needed to make a mug of hot chocolate, packaged in transparent wrapping shaped like an ice cream cone. 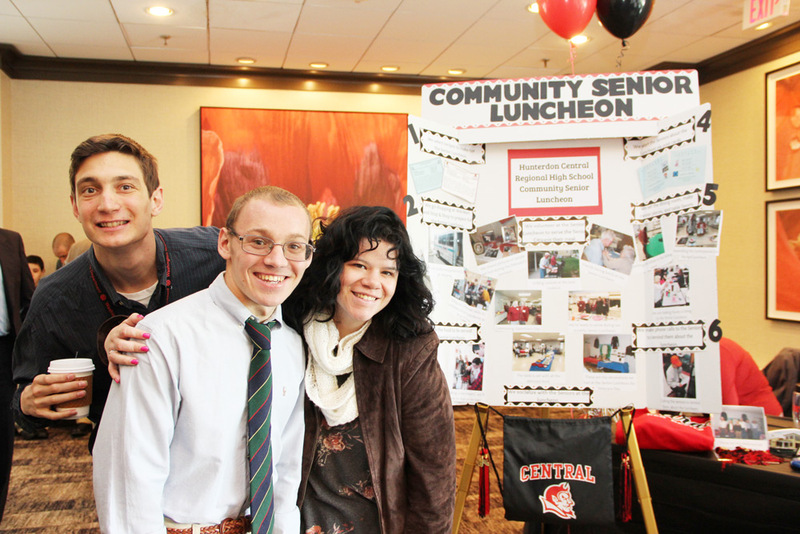 As students run the luncheons, they develop independence, form relationships, learn skills, and become a part of their community through service. Feedback from senior citizens has been positive; seniors say they enjoy meeting and forming relationships with the students, and they are grateful for the efforts of the students. Received the 2017 Innovations in Special Education award.